As part of a successful referendum campaign in 2010, Kishwaukee College identified the need for a new Student Center on campus. 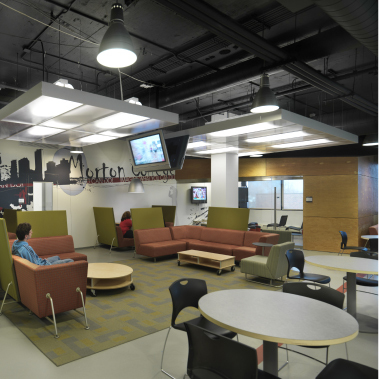 The existing student life spaces and student services spaces were overcrowded, inefficient, and did not support student activities and needs on a growing community college campus. 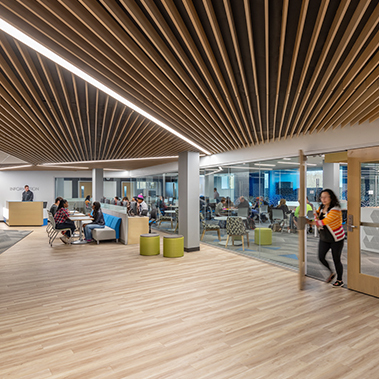 One of the critical components of the new Student Center was related to the overall siting of the building with respect to the existing campus facilities as well as the entry sequence, service access, parking facilities, and acoustics. 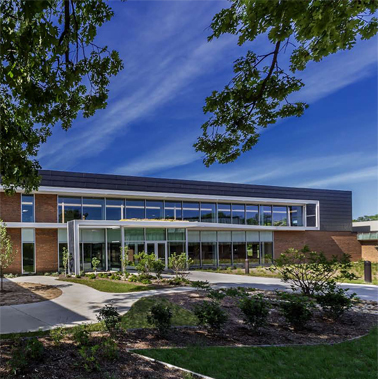 The LEED Gold certified facility includes a new geothermal heating and cooling system as well as distributed heat pumps. 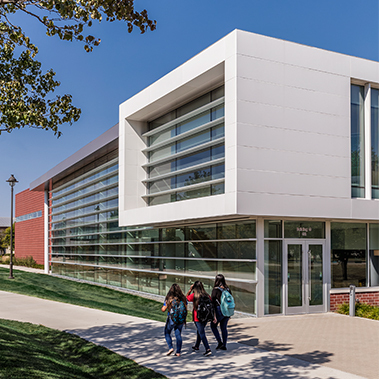 The exterior materials were also selected to distinguish this new facility as the “front door” for the campus while at the same time, respecting the existing campus aesthetic.